Don’t let Beyonce, who called Romney supporters “Mitches” after Barack Obama won re-election, hear this. 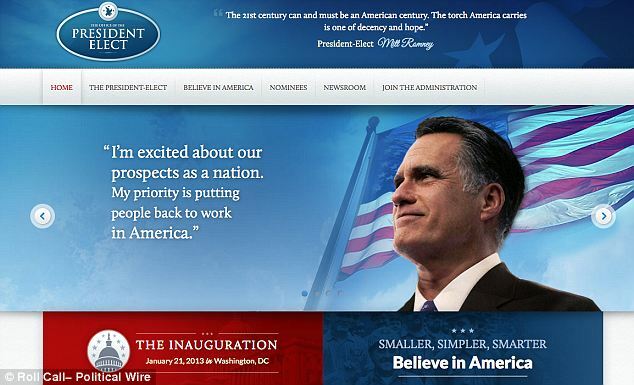 In a major gaffe which might even have legal implications, Mitt Romney’s elections staffers mistakenly sent their transition website live, even though President Obama had won the election. There were even inauguration plans on the site. They can just replace the plans for the Romney inauguration and share them with Obama’s team. We’re sure the staffer who made this embarrassing mistake has been fired… Well, what does it matter? His boss has also been fired by the American people, that is, before he even got the job.